On 03/18/2019 at 10:42 AM, Secaucus Police responded to Macy’s located at 500 Meadowland Parkway on a report of a theft. During the investigation, the police arrested a 31 year old male, Michael Thompson of Jersey City, NJ for 1 outstanding warrant out of Jersey City, NJ in the amount of $150.00. Thompson was able to post bail for the involved warrant and he was released from custody. On 03/18/2019 at 10:13 PM, Secaucus Police, while on patrol, observed 3 suspicious males located in the rear of the Best Buy at 925 Paterson Plank Road. During the investigation, the police arrested a 21 year old male, Dennis Muniz of North Bergen, NJ and a 22 year old male, Kelvin Brito of Union City, NJ for Possession of CDS believed to be Marijuana [2C:35-10A(4)]. Muniz was further charged with Possession of Drug Paraphernalia [2C:36-2]. Mr. Muniz was also found to have 1 outstanding warrant out of Norwood, NJ in the amount of $264.00. Mr. Muniz was able to post bail for the involved warrant. Both Mr. Muniz and Mr. Brito were issued their complaint summonses and were released from custody. On 03/17/0219 at 4:22 AM, Secaucus Police responded to Walmart located at 400 Park Plaza Drive on a report of a shoplifting. During the investigation, the police arrested a 27 year old male, Marquis Baker of Elizabeth, NJ for Shoplifting [2C:20-11B(1)]. Baker was served his complaint warrant and was transported to the Hudson County Jail. On 03/19/2109 at 12:33 PM, Secaucus Police responded to the area of Hudson Avenue on a report of a suspicious male who had exposed himself to a female in the area. During the investigation, the police arrested a 37 year old male, Hasan Jones of East Orange, NJ for Lewdness [2C:14-4B(1)]. Jones was served his complaint summons and was released from custody. On 03/19/2019 at 4:00 PM, Secaucus Police responded to the Essex County Jail to take into custody a 40 year old male, Kerron Walker of East Orange, NJ for 1 outstanding warrant out of Secaucus, NJ in the amount of $1000.00. Walker was able to post bail for the involved warrant and was released from custody. On 03/19/2019 at 4:37 PM, during a motor vehicle stop, Secaucus Police arrested a 20 year old male, Alexander Marquez of Secaucus, NJ for Possession of CDS believed to be Marijuana [2C:35-10A(4)], Possession of Drug Paraphernalia [2C:36-2] and Failure to turn over CDS to a Law Enforcement Officer [2C:35-10C]. Marquez was served his complaint summons along with 3 motor vehicle summonses and was released from custody. On 03/20/2019 at 8:01 AM, Secaucus Police responded to the Bergen County Jail to take custody of a 24 year old male, Jaquir Huntington of Paterson, NJ for 1 outstanding warrant out of Secaucus, NJ in the amount of $1000.00. Huntington was seen by the Secaucus Municipal Court and was subsequently released from custody. On 03/20/2019 at 8:48 PM, during a motor vehicle stop, Secaucus Police arrested a 31 year old male, Christopher Navarro of West New York, NJ for 1 outstanding warrant out of Union City, NJ in the amount of $74.00. Navarro posted bail for the involved warrant, was issued 3 motor vehicle summonses and was released from custody. On 03/20/2019 at 8:56 PM, Secaucus Police responded to the Best Buy located at 925 Paterson Plank Road on a report of a fraud. During the investigation, the police arrested a 26 year old female, Shanne Ramos of Jamaica, NY for Possession of a Fraudulent Driver’s License [2C:21-2.1D]. Ramos was served her complaint summons and was released from custody. On 03/21/2019 at 1:24 PM, Secaucus Police responded to 595 County Avenue to serve a warrant that was faxed to the Secaucus Police Department by the Hudson County Probation Department. During the investigation, the police arrested a 24 year old male of Newark, NJ for 1 NCIC warrant issued by the Hudson County Probation Department with no bail. Davidson was subsequently transported to the Hudson County Jail. On 03/22/2019 at 8:30 AM, during a motor vehicle stop, Secaucus Police arrested a 39 year old male, Ronny Arvelo of York, PA for 1 outstanding warrant out of Springfield, NJ in the amount of $89.00. Arvelo was able to post bail for the involved warrant, was issued 2 motor vehicle summonses and was released from custody. On 03/22/2019 at 12:02 PM, during a motor vehicle stop, Secaucus Police arrested a 45 year old male, Bruce Saintlouis for 1 outstanding warrant out of Verona, NJ in the amount of $1,500.00 and 1 outstanding warrant out of Bloomfield, NJ in the amount of $124.00. Both the Verona Police Department along with the Bloomfield Police Department did release Mr. Saintlouis on his own recognizance. Saint louis was issued 3 motor vehicle summonses and was released from custody. 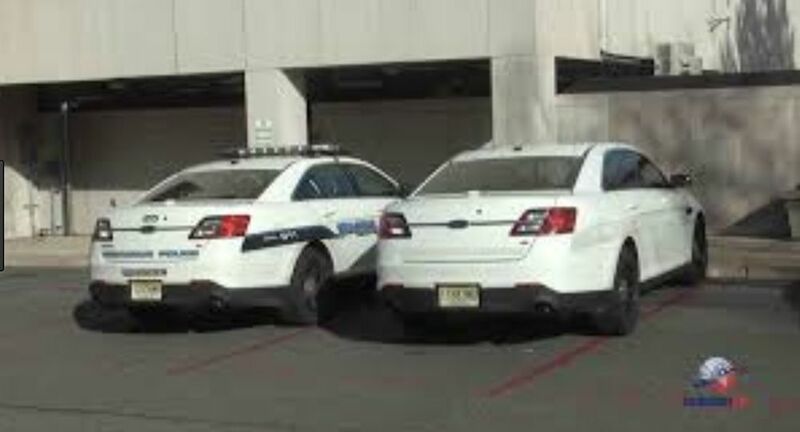 On 03/23/2019 at 11:27 AM, Secaucus Police responded to the area of 40 Meadowland Parkway on a report of a suspicious person. During the investigation, the police arrested a 40 year old male, Casique Roman of Hackensack, NJ for 1 NCIC warrant out of the Bergen County Sheriff’s Office with no bail and 1 outstanding warrant out of Atlantic City, NJ in the amount of $350.00. Roman was also charged with Possession of Drug Paraphernalia [2C:36-2] and Hindering Apprehension for providing false information [2C:29-3B(4)]. Mr. Roman was served his complaint warrants and was subsequently transported to the Hudson County Jail.